“WECA” is an acronym for the War Exchange Conservation Act brought into being by the parliament of Canada on Dec. 6, 1940 prohibiting the importation of “non-essential” materials into the country including magazines and comics from the U.S. This produced a comic vacuum in our country and before March (though the cover dates were indeed March, we well know that comics physically appear on newsstands at least a month ahead of their cover dates) of the next year a few enterprising young men in Toronto and Vancouver had Better Comics No. 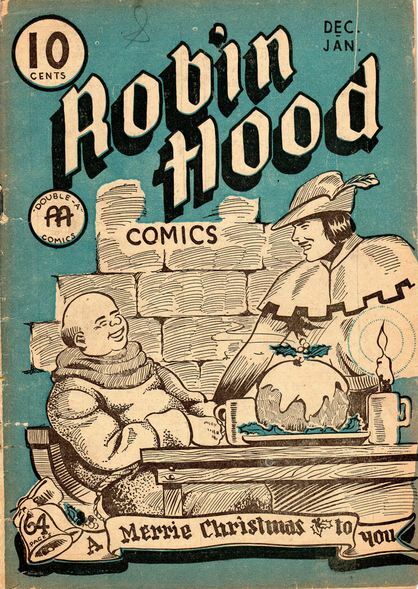 1 and Robin Hood Comics No. 1 in the hands of eager kids across the land. 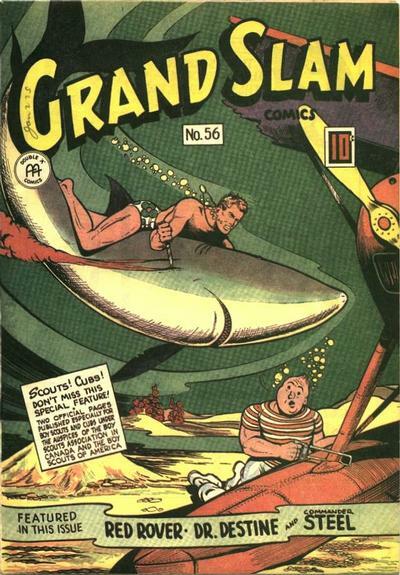 As long as the war was on, American comics couldn’t find their way into Canada legally and this First Age of Canadian Comics flourished, producing two more central publishing companies, Bell Features out of Toronto and Educational Projects out of Montreal, along with a few smaller ones that appeared in 1945-46. Roughly 30 or so titles were produced and probably just over 700 separate books were issued (I believe this is what the online database we are working on will show). 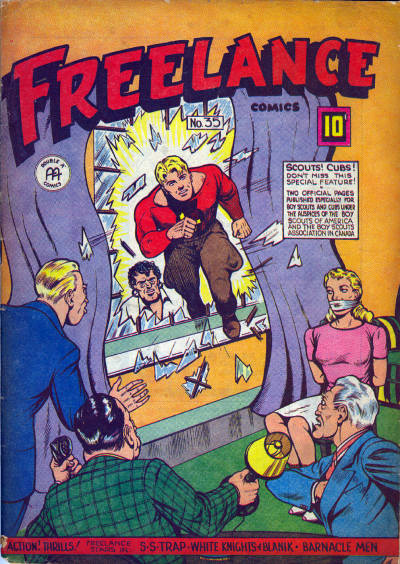 The War Exchange Conservation Act was repealed in stages after the war and, in spite of the wonderfully “garish” American quickly returning to our newsstands, our First Age Canadian Comics kept on being produced in a waning, swan song of an effort right up to the start of 1947. At the same time in this dénouement morphed into a reprint industry that remained solid right up almost to the time of the Comics Code. 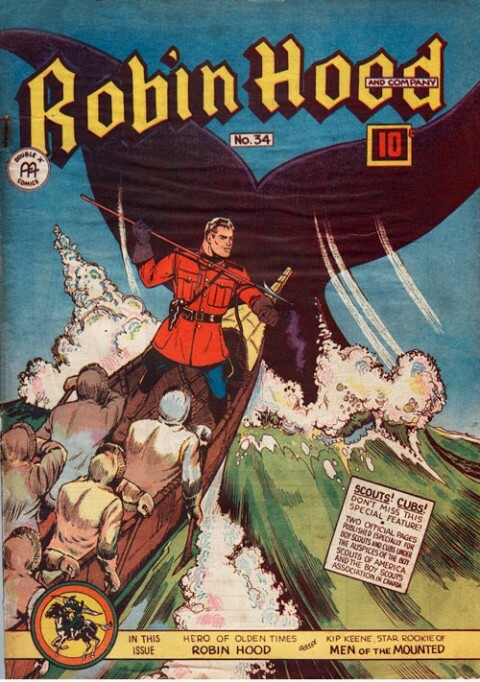 The period I want to describe as the “WECA” period and its comics as “WECA” books is that period 1941-46, from the time of Robin Hood Comics No. 1 (this is a bit of a crazy book because it was tabloid size, much like a Newspaper Sunday Comics supplement without a real cover and, up till now, not a single copy has surfaced) and Better Comics No. 1 to the last Anglo-American books, Freelance Comics 35, Grand Slam Comics 56, and Robin Hood Comics all bi-monthlies and dated in their indicia as December 1946 to January 1947. The other Anglo-American book, Three Aces Comics has indicia showing November to December 1946. In this way, the run of Anglo-American Robin Hood Comics, as the only title to be continuous from the start to the end of this period, represents best the length and breadth of this First Age of Canadian Comics. 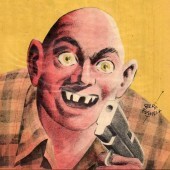 So even though the War Exchange Conservation Act was likely de-toothed by the end of 1945, there was a relative and understandable inertia to the titles that were around in early 1946 that carried them through for another year until, in the face of the insurmountable onslaught of the returning American books, the Canadian Industry, in its existing form, became unsustainable and morphed into essentially a repack and reprint industry by 1947. Because the War Exchange Conservation Act started the ball rolling for a truly Canadian comic industry and because the repeal of that act sounded the eventual death knell for that same industry, I feel that this First Age of Canadian Comics is most accurately called the WECA period and the comics it produced best called WECA books. For example, I would consider the 1946 Gilberton Classics Comics to be WECA books, even though they are little more than 15 cent price variant reprints. 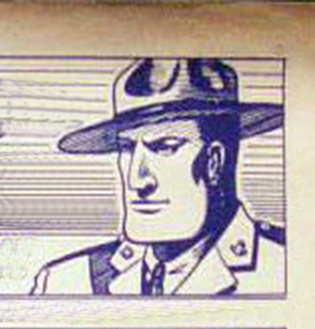 The only criteria for being included in the WECA group is that a comic be printed in Canada (including books for export to the UK) during this period of March, 1941 to the end of 1946 (a few copies of the later Anglo-American books such as Robin Hood Comics 32 were printed using American presses in Ohio in addition to the original copies printed in Toronto — for me these are American reprints of WECA books.) . I welcome suggestions, refinements and comments on this WECA terminology. Since you’ve asked for comments, I will say that trying out a new term, ‘wee-Kah’ does bother me. 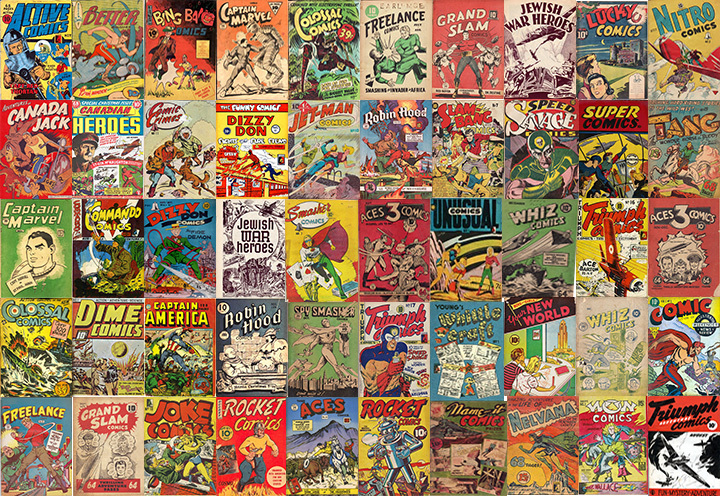 Many fans of these are used to using any of the following ‘wartime comics,’ Canadian golden-age comics, WW II Canadian comics, and of course ‘Canadian whites’. It’s a term that has been in use for decades and doesn’t really mean that we can’t include the later colour books, that’s just picking nits. I prefer ‘Canadian whites’ …if it was good enough for old Capt. George Henderson, it’s good enough for me. A great and valid response, Jim, which is much appreciated. Whenever I attend a Con the dealers all know exactly what you mean when you use the term “Canadian Whites” or just the “Whites.” I pronounce it a little differently: “way-kah” like the old car, the Vega. I use it a lot in terms of the data base index we are building because it clearly separates this set of books from the hybrids, repacks, and reprints that exploded afterwards. In the end, I hope that there’s room for both terms with each being used interchangeably depending on the context. I don’t mean that this term should become a sort of “cuckoo in the nest” that pushes the other one out. I hope we can get more views on this. For me they will always be “Canadian Whites” or “Whites”. Ivan brings up a good point though. He’s given the books a very technical yet catchy name that does a better job defining what the exact criteria for these books are. I’m going to take the liberty of guessing that less than 1000 people are aware of “Canadian Whites” to the point they could give you an answer when asked. Going forward perhaps we can be optimists and say that this number will grow 20 fold with the coming of the Lost Heroes documentary, our index site, an inclusion into Overstreet, articles in other press etc. These newbys have a clean slate to start, they are new to the wonders of Canadian comics and may very well latch on to “Whites” but they may also see WECA as a natural handle. Ivan is informing the masses and it will be up to the masses to choose what fits best. I feel that we should call them Stompies, after our dear departed Stompin’ Tom. Tom was born in 1936 thus Tom predates WECA. Anne Murray was born in 1945 in the height of the “Whites” era. Perhaps The WECANNE’s? This is silly, if we’re talking music & is Canadian and from the era (actually playing in ’45), then that would be Oscar Peterson! And as a plus …I believe he was possibly living on the opposite bank of the Credit River from Adrian Dingle at one point, in what is now Mississauga. I find the term itself maybe a little didactic for mass consumption(i.e. sensible for defining terms for serious researchers like us but maybe less ‘fun’ for the average comics fanboy or fangirl)…although, having said that, I also get a lot of ‘political correctness’ eyebrow raises when I refer to ‘the Canadian Whites’ until I further explain the term, especially with non-comics people. ;-o I do appreciate the sensibility of the WECA term for defining research terms though! 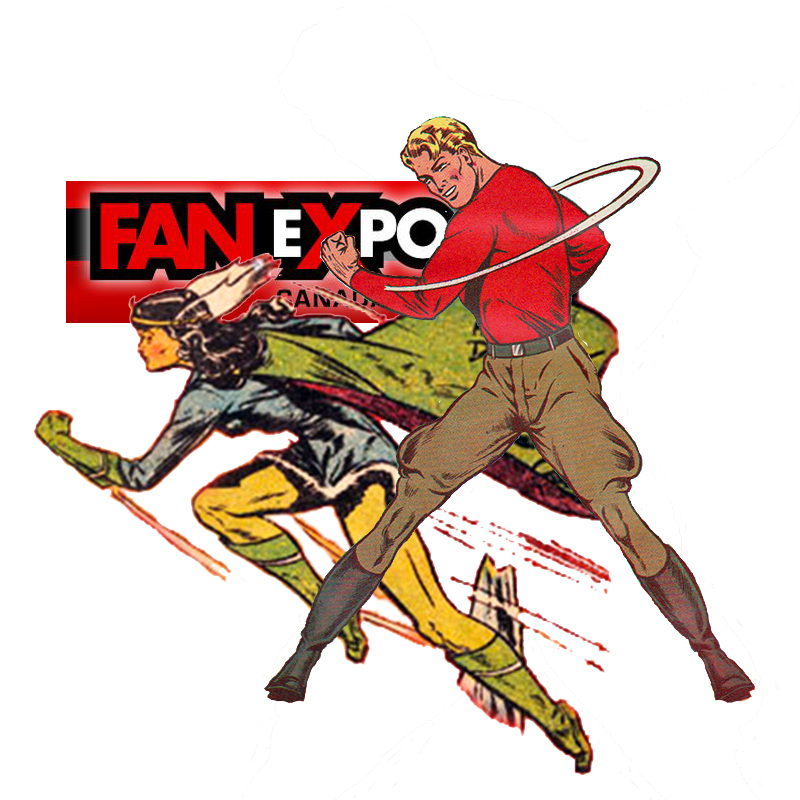 My impression is that are different members of the family that is Canadian Golden Age comics. WECA is a less familiar term much as Homo Sapiens is for man, hardly used in general conversation unless there happens to be a few apes in the room. Canadian Whites is a more familiar term, like a pedigree dog might be described in the company of other dogs when trying to classify a subset that rises above the rest. 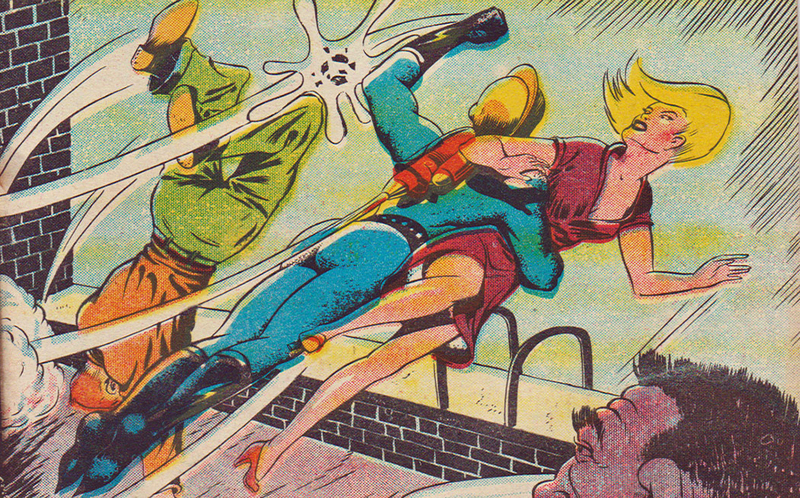 While, indeed they do that since they were the crowning achievement, being the regal beagles that they are they don’t represent every book of that era, and neither does the duration of the WECA legislation encompass all books in the family of Canadian Golden Age comics. Inside the duration of WECA legislation there are US reprints, both colour and black and white and there are Canadian Whites that are colour,black and white, reprints, original. I consider them all Canadian Golden Age books as an all encompassing description. 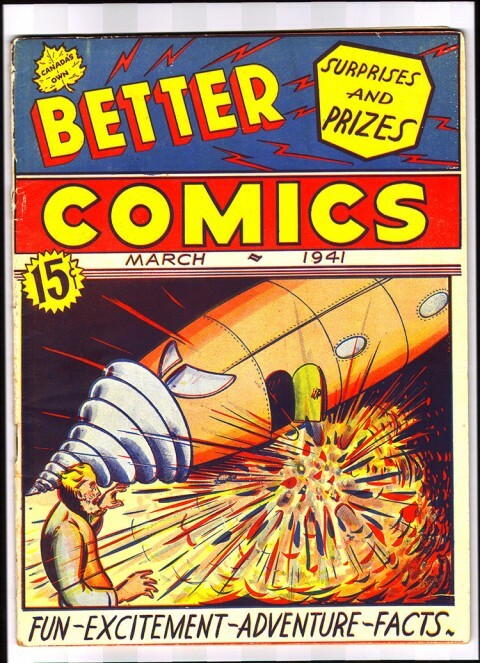 I do agree that the main criteria that makes a Golden Age comic book a Canadian comic book is that it was at least published in Canada. I think with this minimal condition we can find at least one element of that book is different than the US counterpart, be it a major one like original Canadian stories, art or a minor one like different cover,interior, lack of US ads,different mix of stories. Its all about what was held in the hands of eager Canadian readers and purchased with that precious dime (or dime and a half)that helped win the war and deal with the economical hardships that resulted. To me the family name is Golden Age Canadian Comics and Canadian Whites were the heroic boys of that family who went to war and made us proud. That being said, there are no dogs in this litter of books, only dog-ears. Thank you for your sincere and informed comments, Ken. The last thing I want to do is sound pedantic about this issue and you are right, the term is helpful for our research purposes. It is not uncommon for the term “Canadian White” to be used sloppily by sellers on eBay where, for example, I’ve seen books that are 1949-51 reprints, hybrids, and repacks referred to as a “Canadian White.” This wonderfully nostaligic term is muddy even among certain collectors and dealers. As Walter said, this “WECA” term is not a banner I’m waving, but I’d like to throw it out there and see what happens. We already have some useful acronyms in the collecting field such as a SOTI book or a CGC book instead of a “slabbed” book. Maybe “WECA” will gain legs and maybe not. 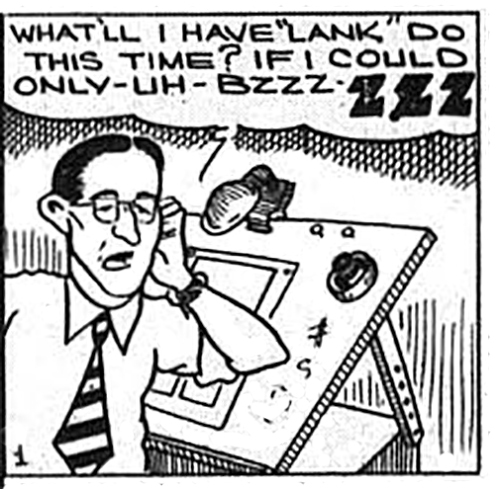 Also thanks for that wonderful information about Canadian comics prior to the forties. I know so little about this area. Perhaps the term “First Age of Canadian Comic Books” would have been more accurate. Great passionate angle on this, Jim. I think that this is going to be a Big Year in the “story” of these books and it will be a year when these books really show their face to the collecting and general public with the “Lost Heroes” documentary coming out and our project eventually gaining web presence. It’s time for the Canadian Whites to really come out of the Crypt Keeper’s closet. Some pre-history leading up to the period you discuss. In 1940, DC attempted to re-price comics with a 15 cent cover price in Canada. Issues with a September cover date have variants with a 15 cent cover price. Issues for October, November, and December had a 10 cent price with a “15 cents in Canada” printed, usually, just below the 10 cent price. January issues exist with many copies like the December copies and also copies where the “15 cents in Canada” is not present. Presumably, DC learned that the 15 cent priced issues were not selling and this, coupled with WECA, lead to the end of the attempt to raise prices in Canada. Certainly, most – if not all – February issues would have gone to press after WECA had passed. Again, this is previous to your period of interest but it was a forerunner. Thanks for this informative comment, Jerome. Weren’t there also a handful of Dell Comics from around the same time (1938-40) that had 15 cent covers such as Four Color Series 1 #4 featuring Donald Duck. Probably for the same reasons you state for 15 cent copies of Batman 2 and Detective 43 that are known to exist. These are significant Canadian variants and should be noted. I am not familiar with the Dell issues.